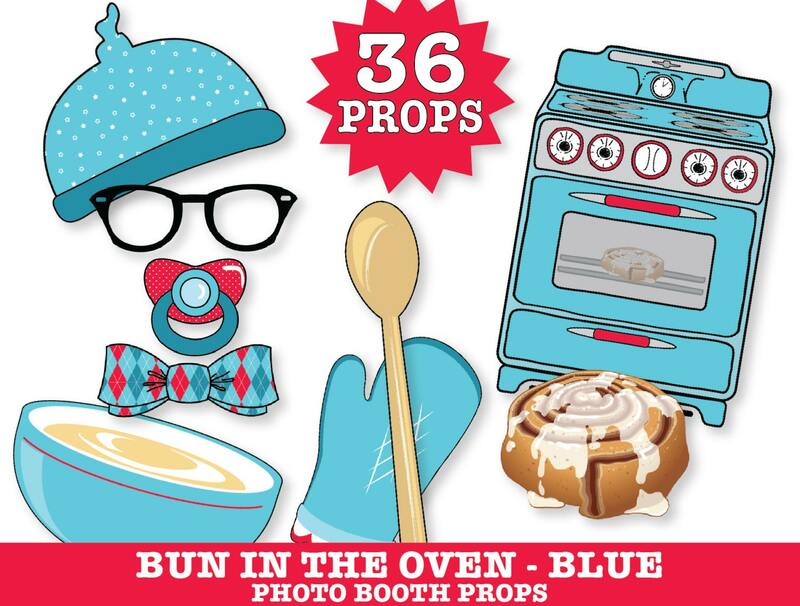 (¸.·´You’ll enjoy this Blue ‘Bun in the Oven’ Photo Booth Prop set with 36+ DIY printable props including: Pink OVEN ★ Bowl ★ Wooden Spoon ★ Whisk ★ Spatula ★ Rolling Pin ★ Oven Mitt ★ Cinnamon Roll ★ Beanie ★ Princess Ha ★ Crown ★ 3 Lips ★ Sunglasses ★ 2 Eyeglasses ★ Crazy Eyeglasses ★ 2 Bows ★ Blocks (mommy) ★ Blocks (daddy) ★ Bib ★ Baby Monitor ★ Rattle ★ Baby Bottle ★ 2 Binkies (pacifiers) ★ Crying Mouth ★ Food on Face Mouth ★ Baby Food Jar ★ Spoon with Food ★ BABY (words) ★ LOVE (words) ★ 2 Editable Speech Bubble ★ (to personalize) ★ BONUS SIGN - Bun in the Oven ★ BONUS SIGN - Grab a Prop - Strike a Pose ★ Instructions, Plus Information for materials need & paper suggestions. 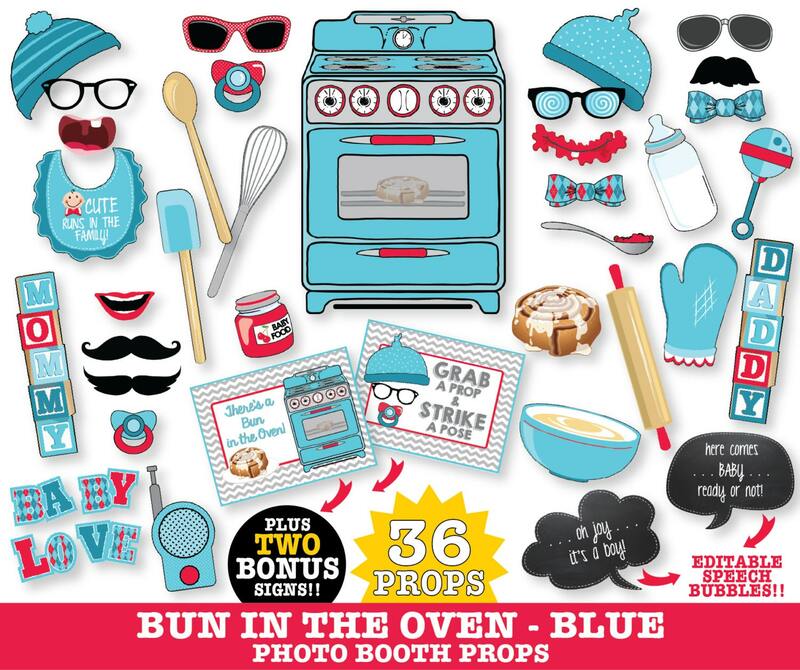 Oh Joy, there a Bun in the Oven! 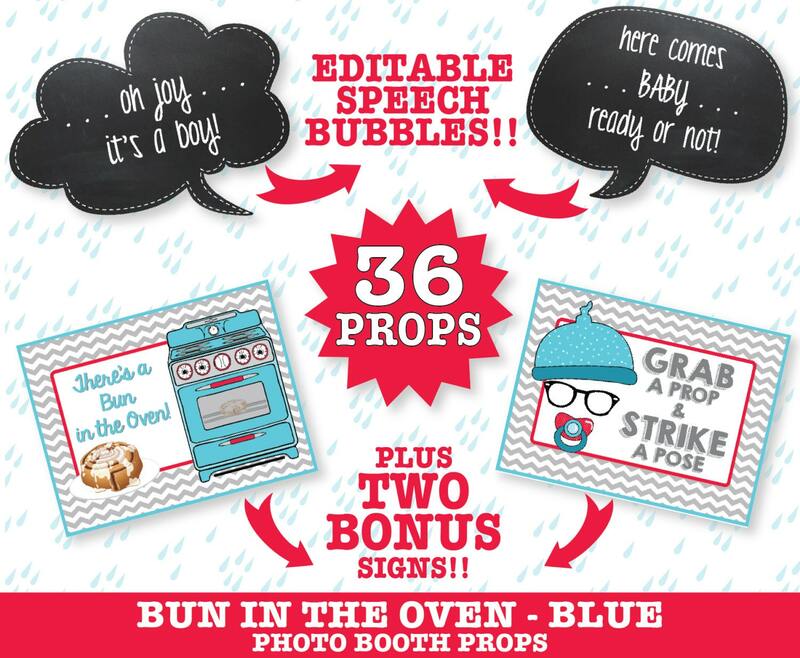 These whimsical Bun in the Oven props will be a hit at the baby shower... or at the hospital when baby arrives! 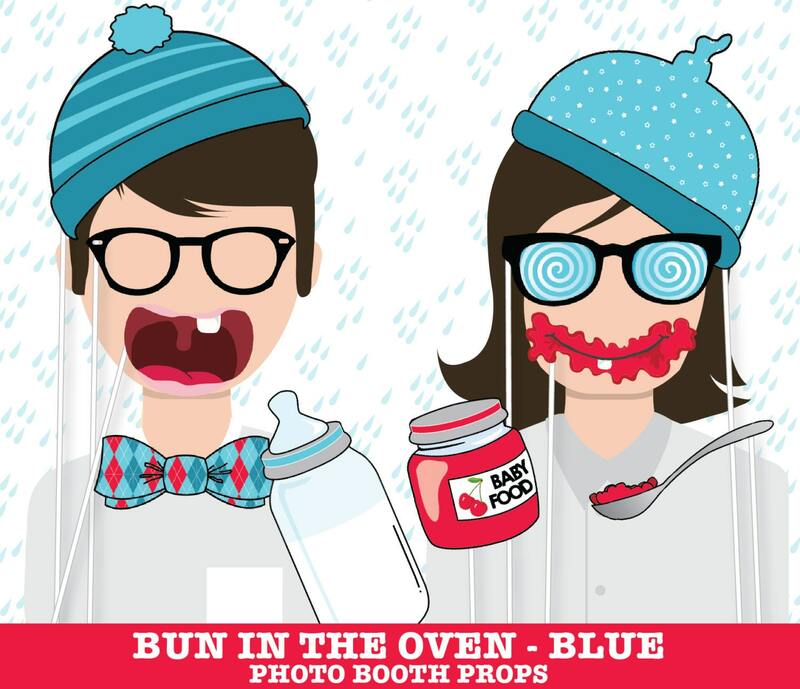 There’s no end to the smiles, giggles & joyful time you’ll have with these playful photo booth props. Every memory will bring a smile!